The training is highly interactive and stimulating for participants. It moves from exploring the development of anti-bias in a local and global context to participants being encouraged to reflect on their own experience of bias, prejudice and discrimination and facilitated to draw conclusions about the impact of the latter on young people within the education system. 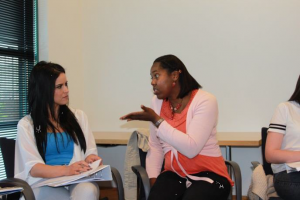 The structure of the course encourages deep reflection on the nature and impact of the integration of education in Northern Ireland, throughout the remaining days of the course. The impact of segregation, within our society today, is brought into stark relief by a visit to West Belfast on the evening of Day 2. The residential nature of days 2 and 3 provides participants with an opportunity to reflect, debrief fully and chat deeply about this experience. A change of pace on Day 3, with an emphasis on application to practice, enables participants to apply learning to their own contexts and action plan for their future work back at school. Click here to view the 2014 ABC Publication. 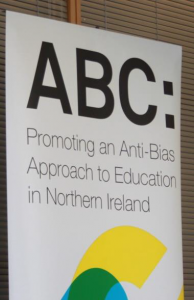 If you are interested in future anti-bias training course please contact NICIE on 028 9097 2910.